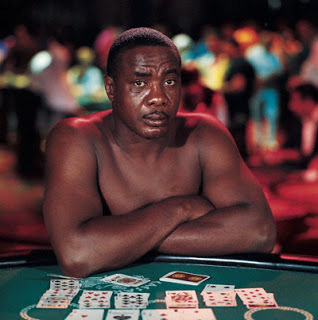 History shows us that few former World heavyweight champions have been so feared as was a prime Sonny Liston. The prototype for the next generation of larger heavyweight fighters, he was an ex-convict with an icy cold stare that could defeat foes well before the first bell, and as scary as he was in the ring he was unreadable and mysterious in his personal life. Born in 1932, Liston came from an enormous family that included 24 brothers and sisters. Rumored to not have had his first pair of shoes until age six, his formative years were spent in rural Arkansas shrouded in a life of poverty. He fled his exceedingly poor environment during his pre-teens years to join his mother in St. Louis, the very place where his propensity for crime was initially cultivated. After a conviction for armed robbery, he was sentenced to two concurrent five-year terms in the Missouri State Penitentiary. It was during his tenure in prison that Liston had his first exposure to boxing. 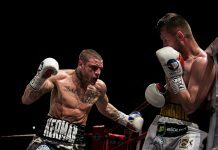 At the behest of the prison chaplain, he put all of his efforts into the prison’s boxing program, finding personal direction and outlet. Paroled in 1952, he continued honing his skills fighting on the amateur circuit, earning the reputation of being an extremely talented boxer, skills that ultimately led to his winning the 1953 National Golden Glove title. Liston was indeed the forerunner of the modern heavyweight. Standing a shade over 6’0 with an 84-inch reach, with enormous fists and freakish physical strength, he was an intimidating bear of a man. Coupled with his practiced skill set, natural athleticism, baleful stare, he had the means to disarm foes of their spirit at the weigh-in or discombobulate them in the ring. 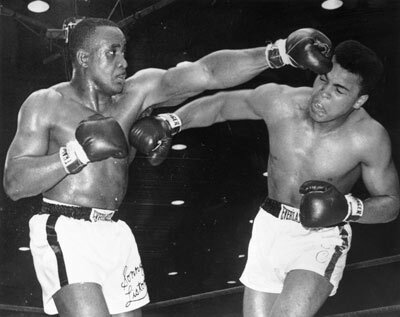 Turning professional in late 1953, Liston went 14-0 before falling victim to alleged police harassment. Succumbing to his worst instincts, Liston’s initial career run was interrupted with an additional stay in prison after he was arrested for beating up a cop. Upon his release he resumed his career, once again ascending the rungs of a then-formidable heavyweight ladder. By 1958 Ring Magazine had him ranked 9th among the world heavyweight contenders. 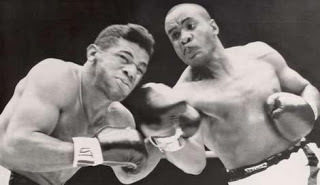 By 1960 he was ranked #1 after a rampage through the best heavyweight contenders of the day, the high point of which saw him pulverize the solid Wayne Bethea in less than one round. The next two years Liston shadowed the undersized World heavyweight champion Floyd Patterson, ambling for a much deserved title shot. Honorable warrior that he was, the protected Patterson eventually gave in, broke script and granted Liston his wish. On September 25th 1962 Liston left no doubt as to his superiority during a good heavyweight era, using two pulverizing left hooks and a cracking right hand to flatten Patterson. 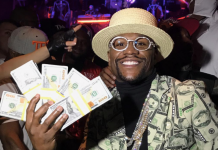 He had powered his way through the top ranked contenders and annexed the World heavyweight championship in less than one round. Ten months after winning the title he repeated the trick, again decimating Patterson in a bout that lasted a scant four seconds longer than their first encounter. He was a man among boys, overpowering or outright obliterating foes much like a schoolyard bully. Never before had a World heavyweight champion been so universally feared. Liston’s aura as a fearsome destroyer was forever shadowed by his criminal record and past brushes with the law. The mainstream public never embraced him, and his suspicious nature didn’t allow him to show a lighter, more relaxed side. 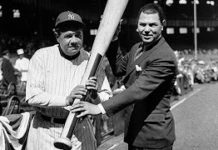 But a thorough review of heavyweight boxing history clearly shows us the cruel and often peculiar timing to the order of events that affect its ebb and flow. Just as Liston seemed poised to reign forever, fate intervened in the form of the 19-0 Cassius Clay in February 1964 and delivered a Zen Lesson for the ages. In a bout figured to be an easy second title defense, Clay shocked the world with a thorough tactical shellacking, taking Liston’s World heavyweight title and leaving him less than invincible. Claiming an injured shoulder, swollen, and looking years beyond his listed age, Liston surrendered in the corner on his stool, something considered almost unthinkable just a short time before. The rematch was scheduled for November 1964 and rumors to this day persist that Liston had trained with renewed enthusiasm and vigor. His weight, conditioning and focus down to a fine point, the rematch was suddenly postponed when Clay, by then known as Muhammad Ali, needed surgery for a strangulated hernia. The momentum of passion heading into that moment gone, it has been said that by the time the rematch had occurred in May 1965 the opportunity for revenge had truly passed. As history clearly shows us now, Ali held onto the championship, stopping Liston in highly debatable fashion in the 1st round under circumstances that are today as murky as the circumstances in their initial encounter. 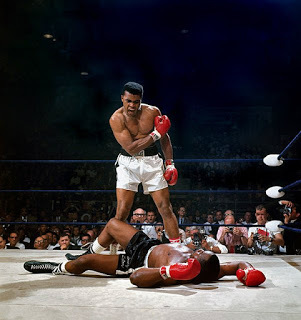 What is clear though is that Liston’s spirit was gone and that Ali had more or less ruined him as a fighter. For Sonny it was really all over except for the shouting. Sonny continued to fight for another six years, going 15-1, his next-to-last bout a crushing 9th knockout loss in December 1969 to the much smaller journeyman Leotis Martin, in a bid for the vacant NABF heavyweight title. His seventeen year career came to a sudden and unexpected halt on January 5th 1971 when he was found by his wife Geraldine, dead in his Las Vegas home under suspicious circumstances. Following an investigation, the Las Vegas police had concluded that he had passed several days earlier estimated by the accumulated newspapers at the front don’t, and of a heroin overdose given that there were no signs of foul play. It was a conclusion that didn’t sit well with those that knew Liston. It was said that Sonny greatly feared needles and he was not known to be a substance abuser beyond occasional heavy drinking. Given his underworld ties and past living beyond the realm of the law, theories circulated that he had become the victim of organized crime. Indeed a mystery of heavyweight history, Sonny Liston won the most unlikely prize in all of sports, very plausibly at an age far in advance of what was listed on his birth certificate (he had a 21 year-old daughter at the point when he won the title at age 32), suggesting that perhaps a longstanding record first set by Jersey Joe Walcott may have been broken but not realized when he ascended the throne. He later lost the World heavyweight championship and his efforts to regain it fell under highly controversial circumstances, quickly ending one of the shortest and most terrifying reigns in heavyweight history. His untimely demise suggested a murky end to a complicated character and a troubled life that would forever be shrouded in mystery, but for a time he ruled all that he surveyed, and he set the blueprint for future World heavyweight champions such as George Foreman and Mike Tyson, fearsome ring assassins that for all of their might and wonder, had nothing on him when it came to inspiring a sense of fear and hopelessness among professional opponents. Sonny Liston is interred at Paradise Memorial Gardens in Las Vega, Nevada. His headstone bears the simple if mysterious epitaph “A Man”. His career record total stands at 50-4, 39 KO’s.